David Le/Salem News. 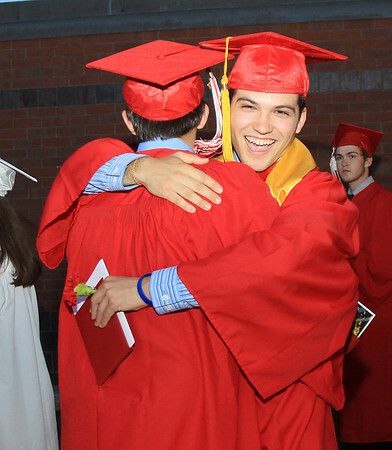 Masco High School seniors Jameson Casey, left, and Nick Bettencourt, right, embrace outside the high school after their graduation on Friday evening. 6/3/11.